What do you think of when you read (or hear) the word, chocolate? Well, by the end of this month you’ll be thinking #Choctoberfest! #Choctoberfest is basically a two week long chocolate extravaganza where bloggers from all over the world share their favorite chocolate recipes and give you the opportunity to win some pretty amazing prizes. And… this year? I am totally in, y’all. Chocolate all week long here on Restless Chipotle! There will be recipes here as well as links to other blogs with chocolate recipes. So, settle in with a cup of hot chocolate and prepare yourself for chocolate nirvana because today is the first day of #Choctoberfest 2016! A special thanks to The PinterTest Kitchen for putting together this annual, virtual event. My first treat for #Choctober is this easy peanut butter pretzel truffles recipe. Chunks of salty pretzel are surrounded by creamy peanut butter and then covered in milk chocolate. They don’t take very long to make, either. For many people truffles seem about as unapproachable as a skunk with his tail in the air. They are sold for high prices in some of the most high end shops in the world so how could anyone make them at home? Well, I’ll tell ya. It’s so easy that anyone can do it with a glass of wine in one hand and the other tied behind their back. Just take your time and let the peanut butter mixture chill thoroughly once you form it into balls. I put mine in the freezer for about 30 minutes. It makes them easier to dip in the chocolate. 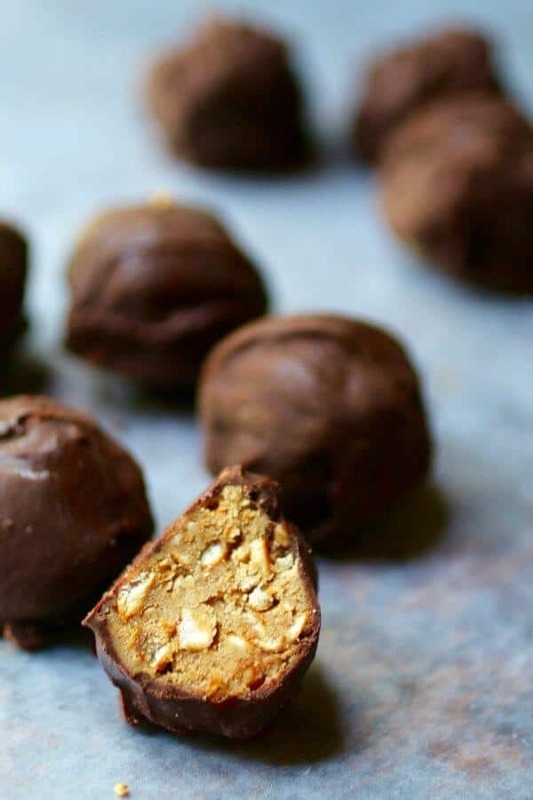 Peanut butter pretzel truffles taste a lot like a Butterfinger bar for some odd reason. They are creamy and crunchy at the same time. 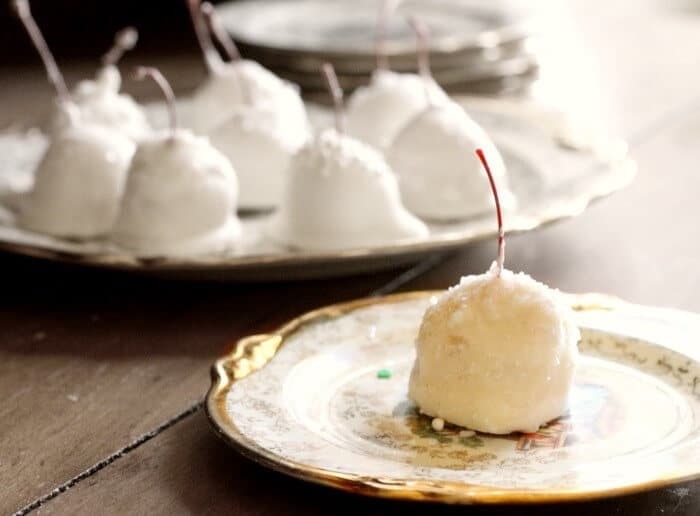 You can make up a batch and freeze them so you’ve got them on hand when company comes or you need a little hostess gift. These pretty gift boxes from Wilton are a great way to package your truffles, cookies, and other homemade gifts. Paper candy cups give your candy gifts a professional look. 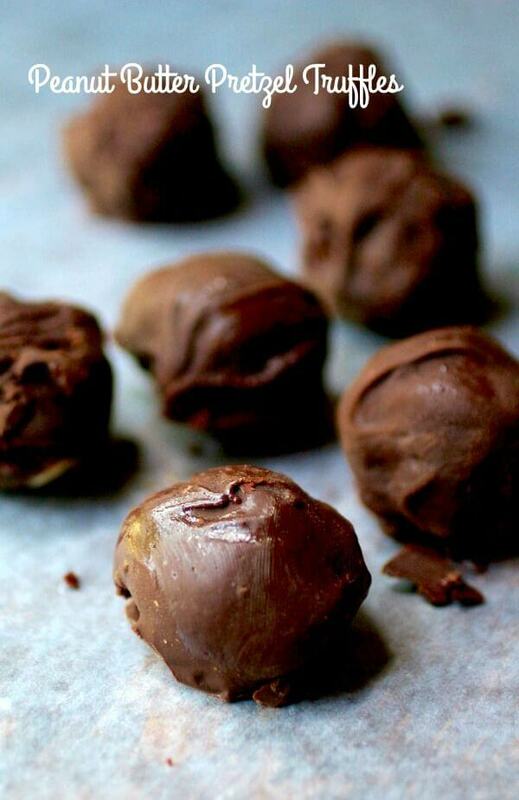 Chocolate and peanut butter fans you’re going to love these peanut butter pretzel truffles! Be sure to check back every day this week to see the newest recipe for #Choctoberfest! If you love this recipe please give it 5 stars. If you love love chocolate covered pretzels or potato chips dipped in chocolate then these peanut butter pretzel truffles are for you. They are reminiscent of a Butterfinger bar. 1 tablespoon unsalted butter, room temperature. Blend the peanut butter, butter, brown sugar, and Confectioner’s sugar in the bowl of a stand mixture until smooth and well mixed. With the mixer running on low speed, slowly pour in the pretzels and graham cracker crumbs. Blend until smooth and you can form balls of it with your hands. Form tablespoon sized balls and place on a cookie sheet. 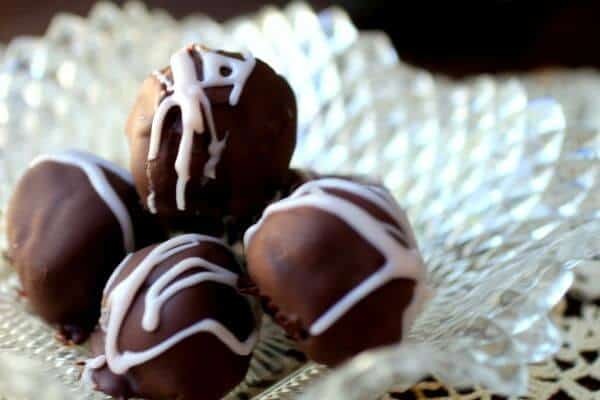 Dip the balls in the melted chocolate. Make sure there's no water in the bowl or on the utensils you're using when melting chocolate. It will seize up and you'll have to throw it out. I love making candy! It’s one of those old fashioned activities that almost NO ONE does anymore! If you’re looking for something quick and easy that’s not truffle related try my microwave sea salt caramels recipe! Check out these other #Choctoberfest recipes! 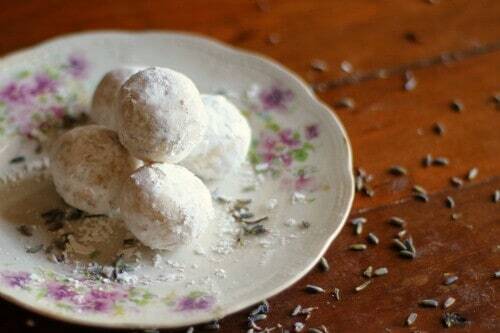 Goodness, these truffles look amazing! I love the sweet + salty combination! <3 I love that they don't take too many ingredients to make! That truffle filling sounds so good. Love the salty sweet combo. And the crunch too! My cousin was a chef and he created a German chocolate cheesecake that is wonderful! My favorite chocolate treat. I can’t resist the sweet and salty combo! These would disappear in a hurry at our house! Oh dear ~ you had me at “truffles”! Those look too delicious. I love them way too much! Hahaha oh god I never want to think about skunks while eating truffles. These look so dang good that I think can get past it.